A Page Is Turned: Everest, Safaris, and Dinosaurs! 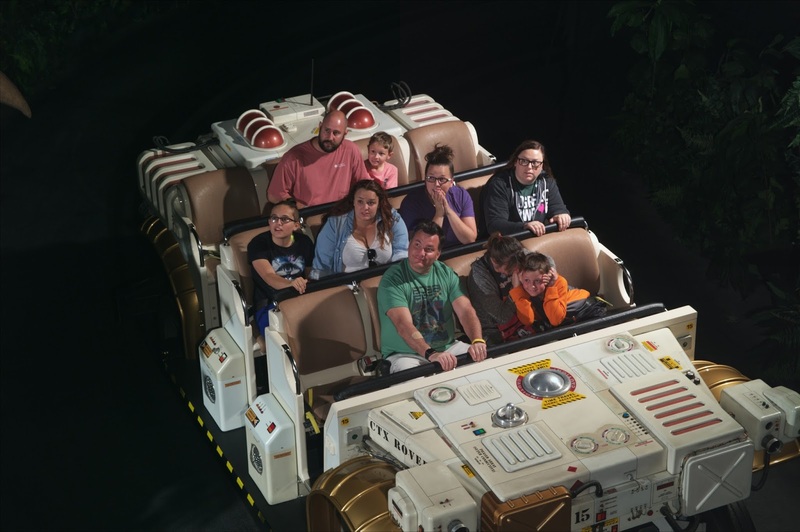 Several weeks ago, we planned another quick overnight trip to Orlando for the second half of our Spring Break. Eddie planned to take a day off of work so that we could come back on Saturday instead of getting in town and immediately having to be back in "school night" mode. Thankfully, none of the rest of us got the crazy hand, foot, and mouth disease that he had at the beginning of the week so we were good to go when Friday rolled around. On Thursday night we were out to eat with the boys and we asked them what they wanted to do for the last weekend of Spring Break. A few ideas were tossed out and James said, "I wish we could go to Disney World." 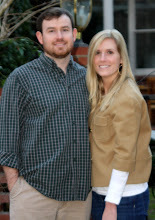 Will agreed and they both lamented the fact that we weren't going. HA. HAHAHAHA! Their parents are stealthy. Friday morning we woke them up and told them that Eddie had a meeting and we were going to drive him to it so that he could work on the way. We were going to get in the car and Will noticed a stroller in the back. He looked at me and said, "There's a stroller in the car. We're going to Disney World. Are we going to Disney World?!" I shushed him and told him not to say anything to James. James got in the car and Will IMMEDIATELY said, "WE'RE GOING TO DISNEY WORLD! THERE'S A STROLLER IN THE BACK!!!!" Hello? Can you not keep a secret for even five minutes? So, our cover was blown and we didn't get the cool surprise like we expected. Oh well! 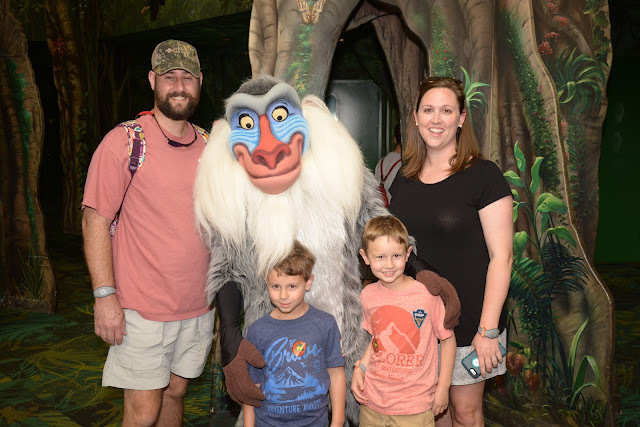 We went to Animal Kingdom on Friday and arrived around 12:30pm. We got in and headed straight over to Restaurantosaurus to eat lunch. James has decided that he's "too old" for a kids' menu anywhere (!!!) so he has fought and fought about ordering off an adult menu. Typically, it's not a big deal. At Disney World, it's EXPENSIVE. I talked him into splitting an adult meal with me and thankfully, he was happy with that solution. He and I shared the bacon cheeseburger and fries, Eddie got his own bacon cheeseburger and fries, and Will opted for the kids' cheeseburger, apples, and squeezy fruit. We all really enjoyed this restaurant (we LOVE Flame Tree Barbecue so this isn't our favorite quick-serve) and liked it's theming as well. Will's kids' meal came in a bucket (because it was a dinosaur dig-themed restaurant). He was THRILLED with this. It will probably make it his favorite restaurant now. After lunch we headed back out and went over to the rides in Dinoland U.S.A. We normally avoid this area because I just don't enjoy the theming here, particularly, but the boys spotted the rides so we went over. Will wasn't tall enough for Primeval Whirl and we weren't going to let half of us get left behind on our first ride, so we all went on TriceraTops Spin instead. We tried to ride Dinosaur after that but it was down so we left Dinoland U.S.A. altogether and went into It's Tough to Be a Bug instead. The boys didn't remember this one and thought it was fun. It's loud and the effects can be a lot and Will tends to be a little bit scared of dark and loud rides/shows, but he did ok in this one. 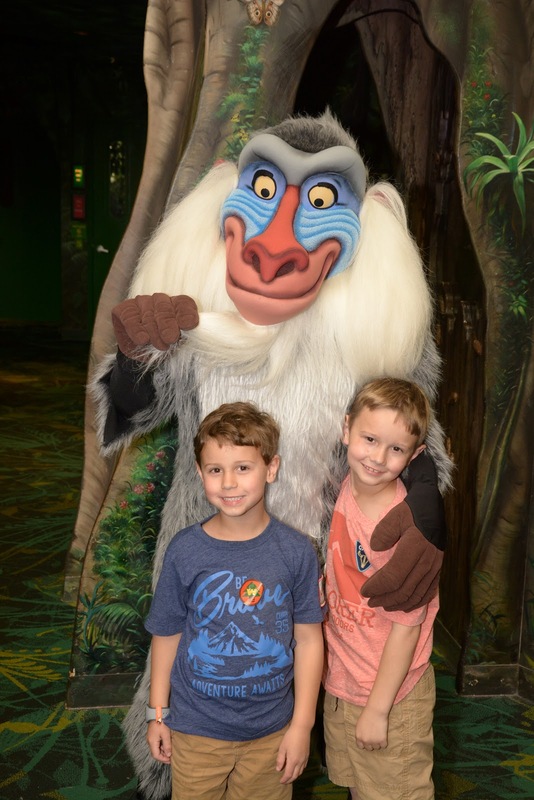 Next, we headed out to Rafiki's Planet Watch. There were six Wilderness Explorer activities out there to participate in, we learned about animal POOP, we met three characters, and we petted some animals. It was a fun, full experience. We got so tickled hearing about the animal poop. 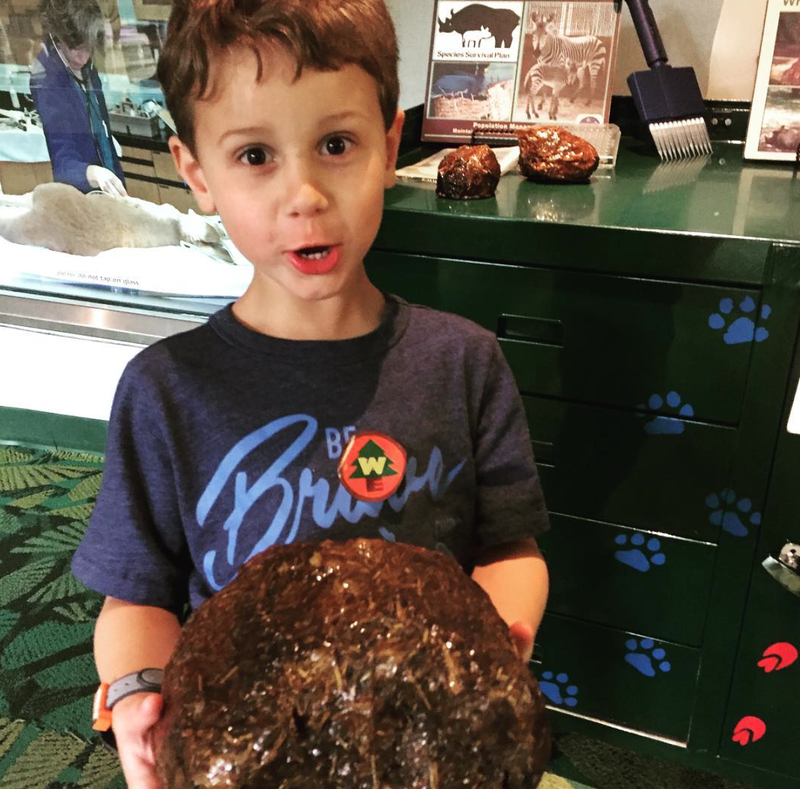 They had real, preserved pieces of poop for kids to match to animals and then the guides (poop experts?) 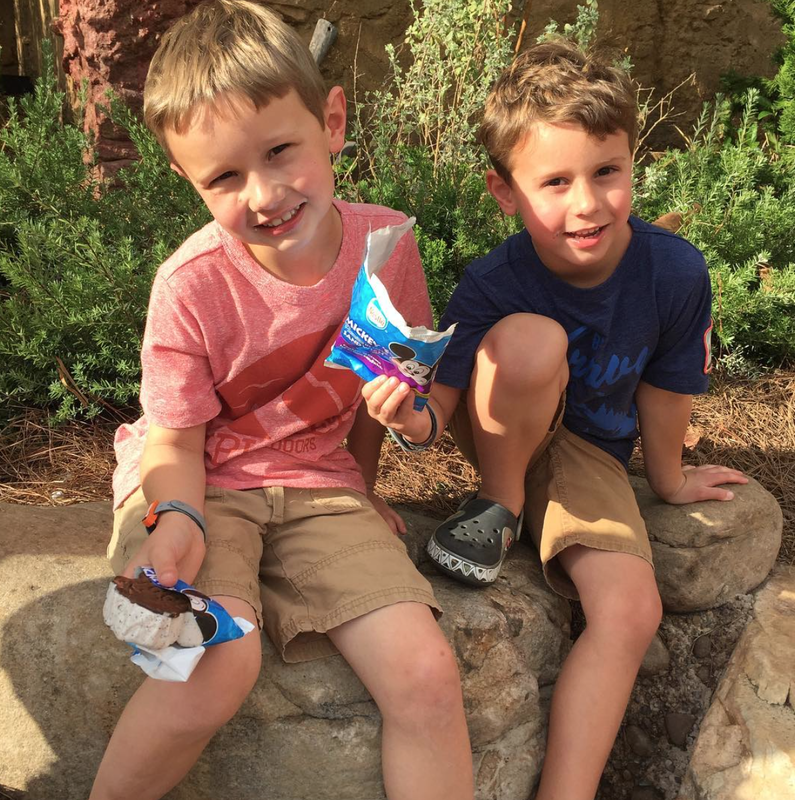 told us how they can tell from poop what the animals eat, whether it was a male or female that pooped (we didn't learn how to tell...just that they could), and that they use poop to determine animals stress levels and take the animals off exhibit when they show signs of stress. 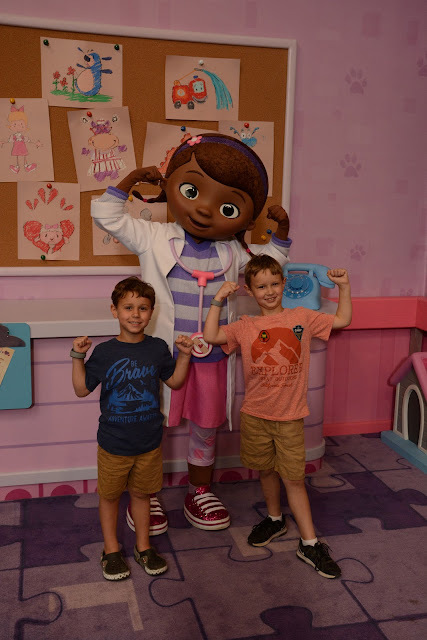 We met Doc McStuffins and Rafiki (and MOM FAIL...I left their autograph books in the stroller) and were making pressed pennies when a Cast Member came up and asked us if the boys like Tarzan. Ummm...yes. He told us to wait and he'd be coming out the door beside us. Then, when he did come out, he asked Tarzan to teach the boys to walk like a gorilla. So fun! 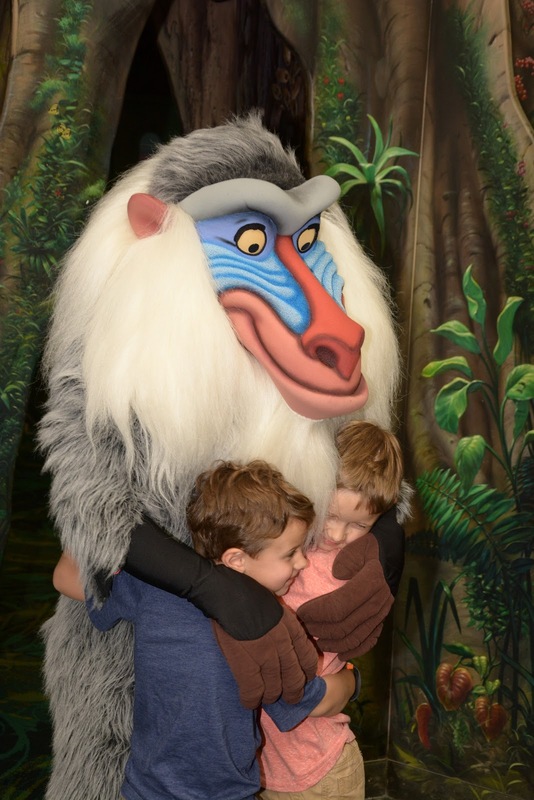 Tarzan is Will's favorite but they both get SO shy around characters and won't really interact with them. This one was fun! Finally, we hit the petting zoo before heading back to Africa. Next, we had a fast pass for all four of us on EVEREST. This one was a stretch. James rode when he was six but this is the first time Will has been tall enough to ride. We talked it up BIG, but Will wasn't having it. We promised him ice cream after, etc. Nope. No way. Finally, we decided we'd just let James ride twice so he and I started toward the ride and Will said, "FINE. I'll go." He was still nervous so we stopped and talked to a Cast Member about it and she asked why he was nervous. He said, "Because it's dark, fast, and it goes backwards." She said it didn't go any faster than a car and to just pretend he was riding in a convertible. She was super sweet. So, we headed on. He started to cry a little as we got closer to the front of the line, but we pumped him up and I looked up how long it lasted - 3 minutes. 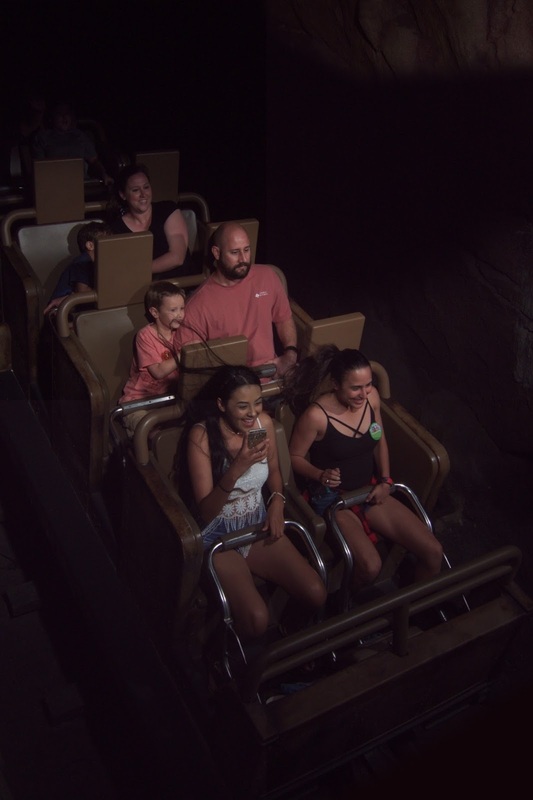 By the time we got on, he was still nervous but not crying. He and I rode together and he was fine until the tracks ended and we went backwards. But, he DID IT!!!! He was proud of himself, James was proud of himself, and we were proud of both of them. We immediately bought Mickey ice cream sandwiches for both of the boys and got ourselves soft serve. Mmmm. It was a good prize for everyone. Next up? Lion King fix! Y'all know we love this show! Will (and Eddie) wants to be a Tumble Monkey when he grows up. After Lion King we had a Safari fast pass, but it wasn't dark yet and we wanted to do the night one. So we stood in line for the Safari and then we turned around and rode again. We had GREAT guides both times, but the second one CRACKED US UP. He said, "y'all" every other word which was hilarious, but the way he said things kept us laughing. As we turned a corner and saw the hippos, one jumped up out of the water and he said, "Oh my word, y'all! You didn't know you were getting a ride AND a show, did you?" Ha! The dark ride was fun, but if you cannot go first thing in the morning, go at DUSK. The animals had apparently just been fed and we saw more at one time than we'd ever seen before! And the baby elephant has grown! Dinosaur was our last ride of the day and Will held up his white flag on this one, but not until we were almost on it. We did rider swap and I rode with James and then Eddie rode with James. It was perfect! James was very nervous on it (we've ridden a number of times but I think the more we've ridden something "scary" the easier it is for them to talk themselves out of something!). When he and I rode, we got our very own jeep all to ourselves!!! As we left our second ride through the savannah, we realized that ALL the restaurants had closed. Oops! Big time fail. It was after 8pm and we hadn't fed our children supper. We decided to do our Dinosaur fast pass and then eat at the (overpriced and mediocre!) Rainforest Cafe at the entrance of the park. We finally made our way to our hotel room at around 10:30 pm. Whoops! Another late night at Disney World. We had a great time and were excited about Hollywood Studios on Saturday!